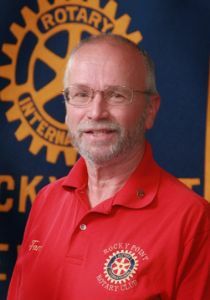 Rocky Point Rotary member, Tom Talbot, was recently named Community Leader of the Year by The North Shore Sun newspaper. In the announcement appearing in the January 8, 2010 edition of the paper, Tom's many civic service activities were highlighted. In addition to Rotary membership, Tom is the president of the Middle Island Civic Association, co-chair of the Brookhaven Town anti-litter task force, a member of the Sons of American Revolution, volunteer at the INN at the Trinity Evangelical Lutheran Church in Rocky Point, member of the Brookhaven National Lab Community Advisory Council and treasurer of the Affiliated Brookhaven Civic Association. In addition to all of these activities Tom finds time to serve in many capacities for Rotary including club Youth Exchange Program Chairman. Our club is very proud, grateful and honored to have Tom as one of our own. This could not have happened to a nicer person!